How consumers and businesses make payments is changing. An increasing number of people and businesses are choosing to use reloadable prepaid cards to make purchases. Reloadable prepaid cards are not linked to a banking account, making them appealing to businesses and people. According to Cision by 2022, the global prepaid card market is anticipated to reach $3.6 billion. It is also expected to grow at a CAGR of 22 percent each year leading up to 2022.
Business Insider says that in 2003, prepaid cards accounted for $20 billion in transactions. That volume grew to reach $220 billion by 2012. Businesses can reload money onto the cards whenever they want so that their employees can use them to make purchases on an ongoing basis. These cards can also function as a good business expense tool. A reloadable business card is a type of card that businesses can purchase and give to their employees. The employees who are given reloadable company cards can use them to make low-value, routine purchases at the time that they are needed instead of waiting for the purchases to be approved. Traditionally, businesses have had systems in which employees have to submit requisition forms for every purchase, including for items that are of a low value. The requests then have to be processed and approved before a check will be issued. The transaction costs involved with the purchase approval process are high, and they may sometimes exceed the value of the items that are purchased. Using a refillable card can help to avoid these costs for low-value items that your business needs. Since these types of cards are not linked to your checking account, they are relatively safe for businesses to use. Employees are not able to use the cards to withdraw cash or to gain access to your accounts. 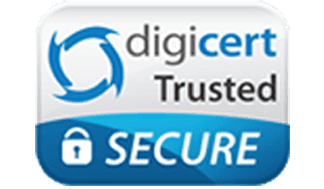 Is a reloadable company card safe for business? What is a p-card? How do p-cards work, and where can I get one? What is a virtual card? How can they help your business? A reloadable credit card is not a true credit card. Instead of being associated with a revolving line of credit, a reloadable credit card is funded with your own money. When you make purchases with a reloadable credit card, the costs are subtracted from the balance on the card instead of being added to your credit line. This means that you will not be charged interest on the balances that you have on your reloadable cards. Some of these cards can only be used at specific retailers that sell them while others may be used anywhere. For example, a reloadable Visa credit card can be used to make purchases wherever Visa is accepted. Reloadable cards can help your business to control your spending. The ability to restrict spending to the amounts that you place on the cards can allow you to keep your expenses within your predetermined budgetary limits. Since the cards can’t be used to access the money that you have in your business checking account, you can benefit from reducing the risk of external and internal thefts. Reloadable cards can also allow you to get rid of systems such as reimbursements and petty cash. Both payment systems are frequent targets of fraud. A reloadable debit card is a type of business debit card that is linked to your business account. You can choose how much money to fund your reloadable debit cards with from your account. When the balances become low, you can refill your reloadable debit cards. The best reloadable debit cards for employees offer built-in expense controls. Companies can set several types of restriction on the Bento for Business reloadable company debit cards. You can set individual spending limits on each card according to the needs of your employees. You can also restrict where they can make purchases and when the cards work. Businesses use these cards to track the spending at their companies by the employee, by the department, or by the supplier. A reloadable debit card for business needs allows the automatic important of transaction information into your bookkeeping software. Businesses can benefit by the greater spending transparency that the cards offer. How are reloadable visas for business different than consumer cards? How do companies use Bento reloadable debit card? What makes the best reloadable debit card? A reloadable prepaid card is different than a debit card. A debit card is linked directly to your business account. When purchases are made with a debit card, the costs are subtracted from your business account balance. By contrast, a refillable prepaid card is a type of card that you purchase. It is not linked to your business account. Instead, the purchase price will be the balance that is available on the card along with the company’s fee. When all of the money on a reloadable prepaid card has been spent, you can choose to add more so that you can continue to use it. Prepaid cards can help businesses to keep their expenses within their budgets. Since the cards aren’t linked to the business’s accounts, they can’t be used to access the business’s money beyond what is on the cards. The best reloadable prepaid card can help you to get your spending under control. To find the best prepaid reloadable cards, businesses should research different offers online. They should compare fees so that they understand what they will have to pay and the features that are offered with each card. 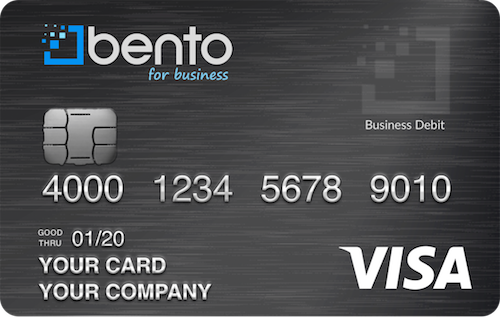 Bento for Business does not offer prepaid cards. Instead, the company offers debit cards that are designed to meet the needs of businesses. A reloadable prepaid credit card is not a true credit card. Instead of being linked to a revolving credit line like credit cards, a reloadable prepaid credit card is funded with your own money. When you use a reloadable prepaid credit card to make purchases, the costs are subtracted from the balance on your card. No interest is charged because the money is your own. You can buy cards in different amounts and refill the balances as needed. The best reloadable prepaid credit cards offer multiple controls to businesses. You can set spending limits on the best cards by the day or week, and you can turn them off when your business is not open. The best cards may also be restricted to where they can be used. You can write a good expense policy and bake it into your cards so that your employees will be unlikely to make unauthorized purchases. This can help you to reduce the risk of internal and external fraud. A reloadable prepaid debit card is a type of card that businesses can purchase online from card issuers or in person at a variety of different retailers. Some reloadable prepaid debit cards are associated with specific merchants and can only be used to make purchases from them while others are branded as Visa, Mastercard, or Discover and can be used to make purchases wherever they are accepted. When you get a reloadable prepaid debit card, you can choose how much money to place on it. You can then give it to an employee who needs to make regular purchases on behalf of your business. The employee can use the card to buy things for your business that you have authorized. A prepaid reloadable debit card offers benefits to both employers and employees. You can benefit because you can use the cards to restrict the amount of money that your employees can spend. These types of cards cannot be used to withdraw funds at an ATM or to gain access to your accounts. Your employees will be able to make routine purchases without wasting time making purchase requests and waiting for them to be approved. This can also save on transaction costs for small-value purchases. Reloadable fuel cards are cards that businesses can give to employees who have to drive as a part of their jobs. Businesses are able to control their employee expenses with reloadable fuel cards. Companies that have fleets of vehicles can decide how much money to make available on the reloadable fuel cards that they distribute to their drivers. The employees can be limited to dollar amounts that correspond to the routes that they drive. reloadable gas cards can allow companies to view their travel costs in real time. If the businesses see problems, they can turn individual cards off instantly by tapping the screen of mobile devices or clicking a button on laptops. For example, if a company suspects that an employee has used his or her card to purchase gas for a personal vehicle in addition to the company car, the card can be turned off so that the business can investigate more fully. A refillable Visa card is a type of refillable card that can be used to make purchases wherever Visa is accepted. Businesses can buy reloadable Visa cards and give them to their employees to make purchases on their behalf. Using refillable Visa cards can allow businesses to get rid of reimbursements, petty cash, and time-consuming approval processes. These cards can help to save on the transaction costs for routine purchases such as office supplies, gas, and other items. A Visa debit card is a safe payments option for businesses. Businesses can use the cards to restrict how much money each employee can spend. Some cards also come with built-in controls that allow businesses to restrict the cards to specific merchants and to restrict the times when the cards will work. Businesses can see exactly what has been spent on their reloadable Visas by logging into their dashboards. Each of the cards will show detailed spending information so that employers can get a clear picture of their expenses. Refillable cards are cards that businesses can give to their employees to use for business-related purchases. Companies can decide how much money to fund their refillable cards with. When the funds on refillable cards are depleted, the businesses can choose to add more money to them. A reloadable card can benefit businesses in several ways. Since the company can control how much money is available on the card, fraudsters cannot use the cards to access the money in the company’s account. Cards that are reloadable also can be used to keep your business expenses under control. You can determine how to fund the cards according to your individual budget categories. This can help you to keep within your business’s budget. It can also allow you to make budget adjustments where you see that they are needed. These types of cards are also not credit cards. This means that interest will not be charged on your balances. Your business also will not have to undergo a credit check to get these cards for your employees. A refillable gas card is a type of fuel card that businesses can give to their employees to use when they are traveling on behalf of their companies. With a refillable gas card, you can decide how much money to place on the card and set spending limits by the day or by the week. There are several benefits to giving an employee a refillable gas card. Your employee will not have to use his or her own money to get gasoline while he or she is traveling. This means that your employee will not have to submit expense reports and wait to be reimbursed. A refillable fuel card can also benefit your business. You can see your employee’s travel expenses in real time on your online dashboard. If you identify a problem with how a reloadable fuel card is being used, you can turn the card off instantly from your mobile phone. When the funds on a card are depleted, you can reload it with more money. Some fuel cards also allow your employees to take pictures of their receipts so that they can be uploaded into your company’s software with the transaction data. This can eliminate the problems of saving paper receipts or tracking them down. Expense management refers to the accounting systems that you have in place to track and control your business expenses. Using sound expense management strategies can help you to track employee expenses and keep the spending that occurs within your budget. Modern, low-cost expense management tools give you the ability to control your employee expenditures and to track every expense in real time. When you use reloadable business cards, you can control employee spending and see what has been spent on your online dashboard. If you see that an employee has misused his or her card, you can turn the card off instantly from your cell phone with a mobile expense app. This can eliminate the worries that you might have about how to retrieve cards and stop the unauthorized purchases. You can check your company’s risk of fraud by using our free fraud calculator. It can help you to identify your areas of risk so that you can plug your expense leaks. Reloadable Visa cards come with built-in controls that help you to manage, track, and control your expenses. You are able to control how much each of your employees is able to spend. You can also set restrictions so that they can only spend money at specific merchants, and you can control when the cards can be used. Some Visa debit card services come with software that allows you to track your business expenses. When you use the software and your employees use the cards, the payment data is uploaded automatically into your bookkeeping software. They can take pictures of the receipts so that you won’t need to track them down. The job of your accountant can be simpler because he or she will have all of the payment information available whenever it is needed. You can use the cards to ensure that you stay within your budget. The company was founded by finance professionals with a focus on helping businesses to manage their expenses more efficiently. They offers Visa debit cards for businesses that have built-in controls that allow you to control when and where they can be used and how much can be spent. Bento has thousands of satisfied customers and has earned great user reviews. You can try the cards for free for 60 days to see if they will work for you. You can also request a live demo to see how the cards would work in your business. To learn more, contact us by calling 866.220.8455.